Facebook had the biggest outage of its history and no one seemed to care. In my opinion, everyone’s mental health probably improved during the outage. More worrisome is the new cell phone location data proposal of the FCC that will pinpoint your location to within 3 feet in buildings and everything that does not come with any additional privacy rights. I talk about my household shipping concerns and what I have been up to in investigating the shipment of my gear and personal effects out of Hawaii. 54:03–Where do the presidential candidates stand on Big Tech? 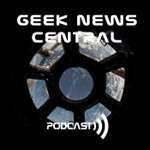 The post Facebook Had and Outage and No one Cared #1352 appeared first on Geek News Central.